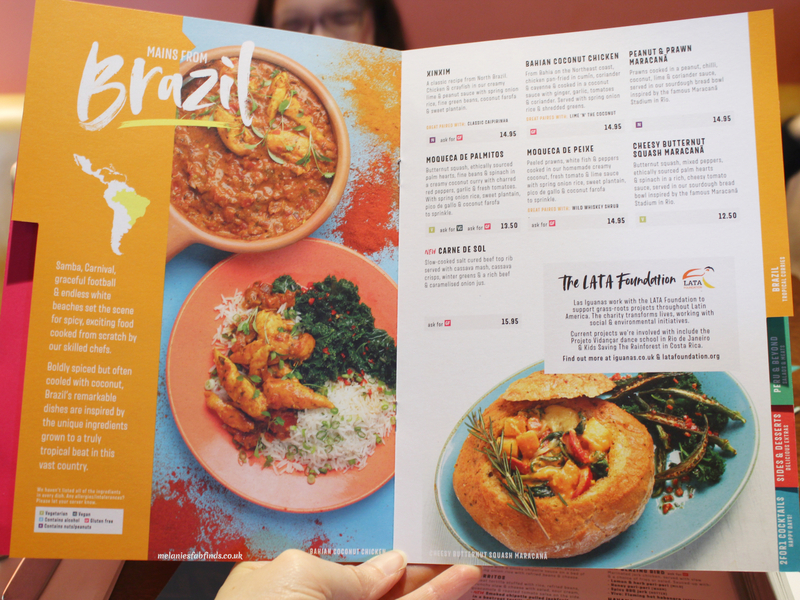 The thought of Brazilian, Mexican and Latin American food should be enough to get anyone excited. I love these types of foods with their fabulous array of colourful, flavourful dishes. 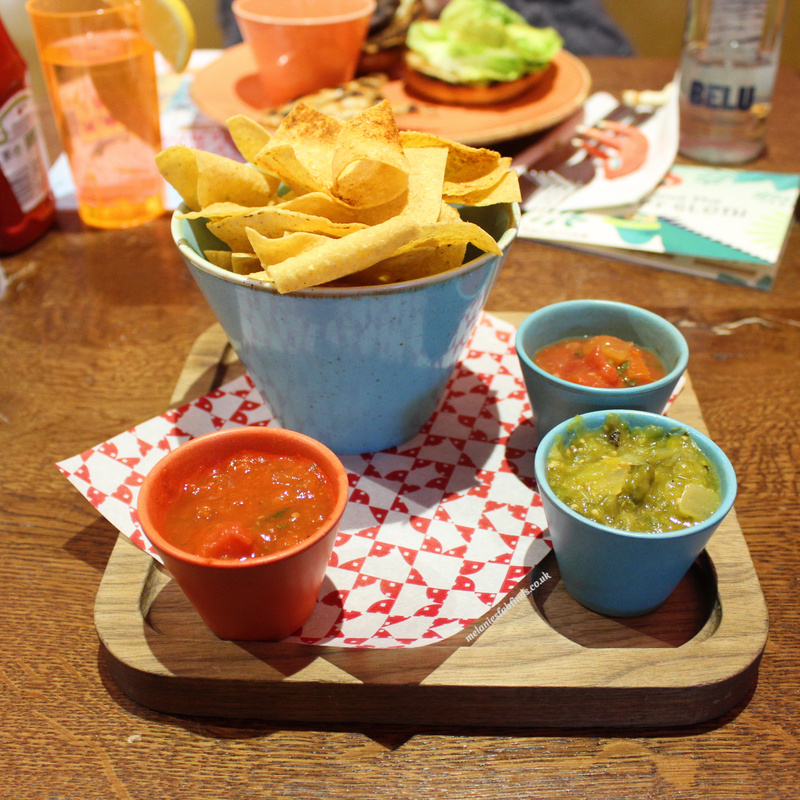 Better still, we can all get to enjoy a mix of these types of dishes under one roof at Las Iguanas. Diners can pick from the A La Carte, Lunch, or children’s menu and discover a great selection of tasty dishes to whet any appetite. Options on the main menu and separate menus include vegan, dairy free, nut free, vegetarian and gluten-free and more. No matter your food preference or allergies you are guaranteed to find plenty of dishes to choose from that you’ll love. We went along to try their winter menu. 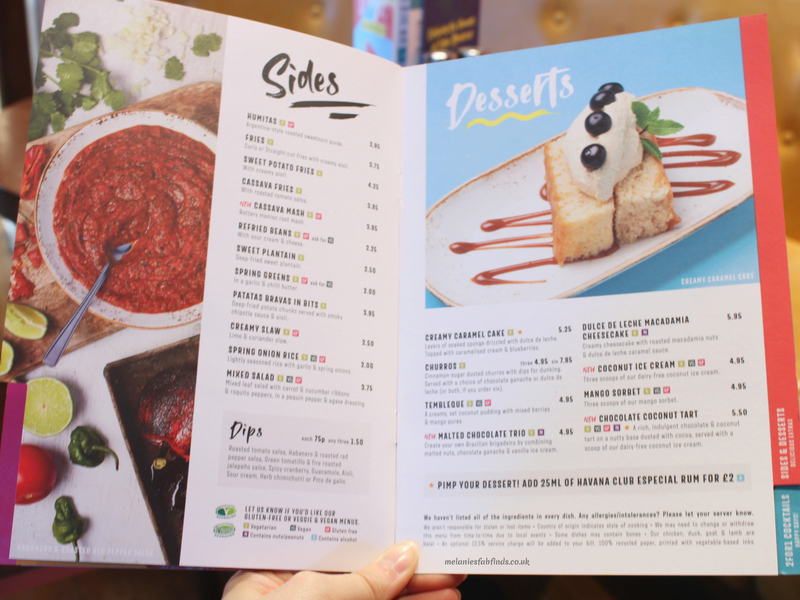 The menu is nicely varied with vegan, vegetarian and gluten-free options available. Whether they prefer a beef burger, crunchy fish fingers, calamares, tacos or quesadillas the choice is theirs. To accompany their meal they can choose two sides, a drink and to finish, a yummy dessert. While we waited for the food to arrive the children got on with the activity sheets that they had been given. The is also a fun new book featuring Iggy the iguana for children to read and keep with collectable toys. This was requested with baked beans and straight fries. My daughter was impressed with the coating on the chicken. They had used pieces of real chicken breast not machine recovered meat and nice sized chunks. My daughter gave these the thumbs up. I’m sure both her brother and sister would have enjoyed them too. My daughter requested her burger with garlic bread and baked beans this was also a hit. The burger meat was juicy and a good size. My daughter struggled to finish the whole thing so left the bread so she could fit in dessert. Cinnamon-sugar dusted churros with chocolate ganache. Of course, I wasn’t surprised at this option being picked by both daughters. They love churros and honestly if there were more they’d have eaten those too. Prices are reasonable and you can choose from a range of menus. The prices for the lunch and early evening menus start from £7.95. Options are varied and making it hard to chose. Return visits will be required!!! 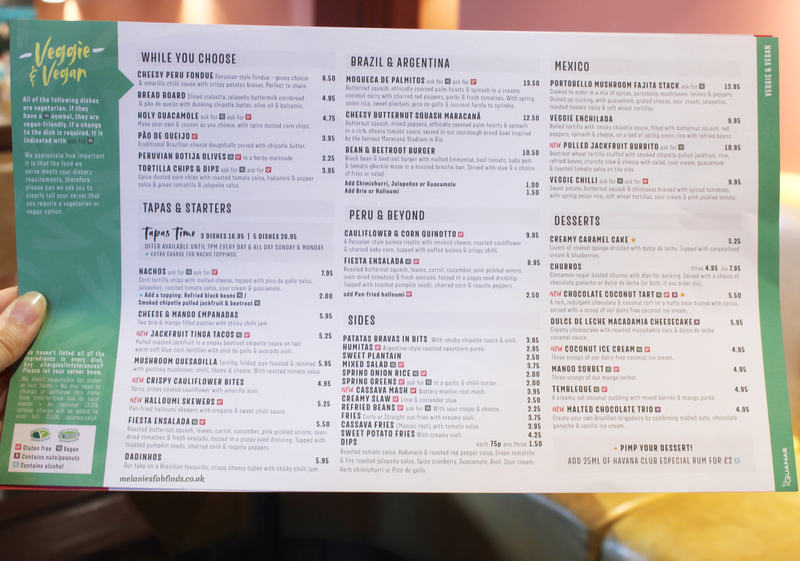 Choose from dishes from Brazil, Mexico, Argentina, Peru and Beyond as well as Tapas. Combine yourself & season as you choose, with spice-dusted corn chips. A gorgeous dish with plenty of flavour and fresh ingredients. It works well all mixed together and eaten with the nachos. Spice-dusted corn chips with roasted tomato salsa, habanero & pepper salsa & green tomatillo & jalapeno salsa. The dips were all full of flavour and completely different. They worked well with the tortillas. There was a mix of cool and refreshing and spicy to enjoy. Peeled prawns, white fish and peppers in a homemade creamy coconut, fresh tomato & lime sauce. Accompanied by spring onion rice, sweet plantain, pico del gallo & coconut farofa to sprinkle. Before the dish arrived came a warmer for the sauce. A great idea as the food tasted amazing warm with the delicious coconut and tomato sauce and touch of spice. 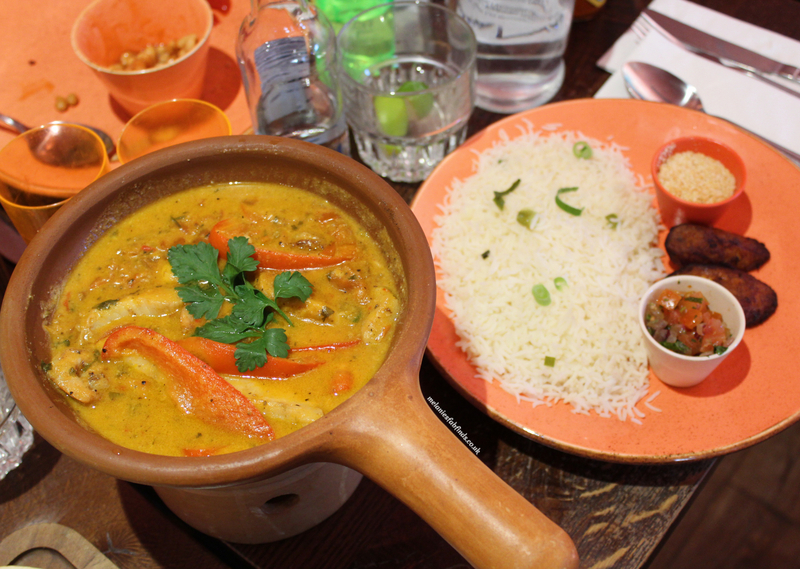 This Brazilian dish is full of flavour, big prawns and chunky pieces of fish. This is a delicious dish that makes an ideal comfort dish with the cold weather. There is a good number of dishes to choose from. The tapas is a great option for a meal as you can get to try a range of dishes. 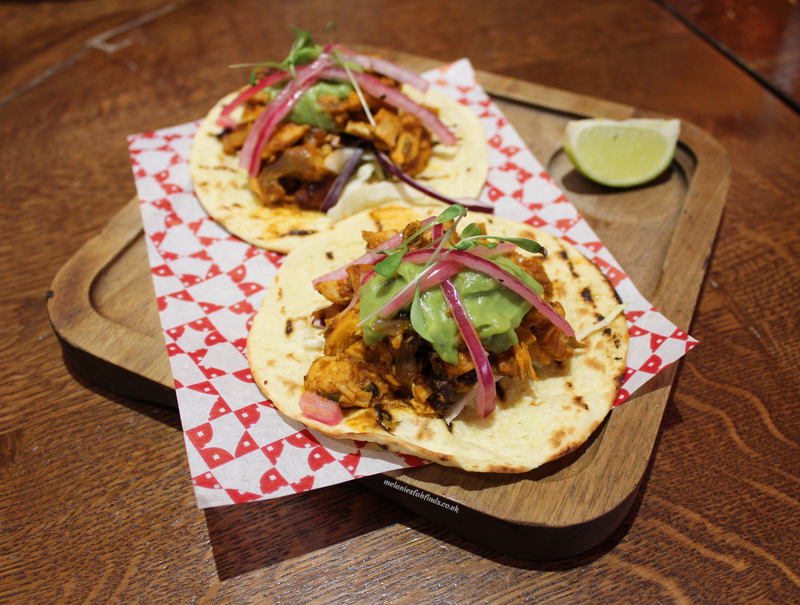 Two grilled corn & flour tortillas topped with smokey chipotle chicken, pink pickled onions and guacamole. These were rich in flavour and had a good range of textures to make it not only tasty but interesting to eat. The cool smooth guacamole was a good contrast to the warm flavour full chicken, the pickled onions a welcome burst of contrasting flavour. Deep fried squid in a crisp cayenne and cassava crumb with aioli. 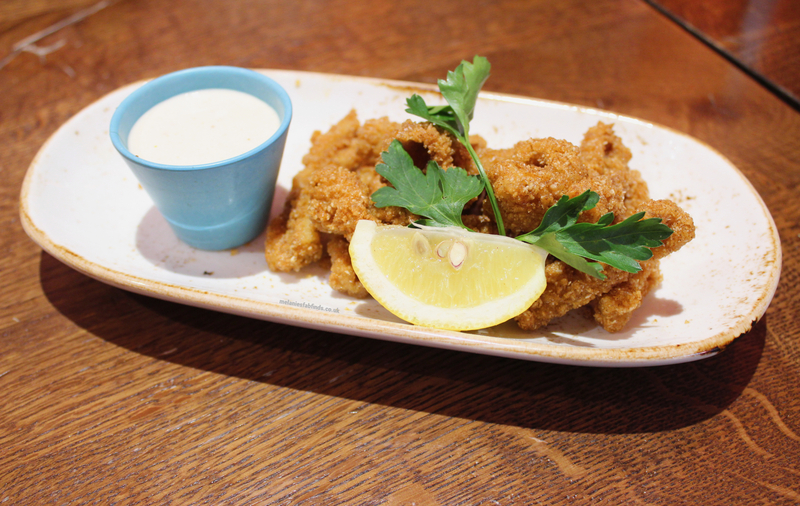 I love calamari, this is a great twist to the normally breaded or battered dish. The cassava crumb was perfectly seasoned and gave a good crunch but didn’t steal the limelight from the chunky tender squid. Roasted butternut squash, mixed leaves, carrot, cucumber, pink pickled onions, oven dried tomatoes and fresh avocado tossed in a poppy seed dressing. Topped with toasted pumpkin seeds and charred corn and roquito peppers. Who says healthy food is bland!!! This really does show a wonderful example of a healthy dish that is also packed with flavour. Whilst eating it I wished it was bigger as I didn’t want it to end. For me, this was the dish that stood out the most. Yes, you read that right. It was fantastic. A good mix of ingredients, super healthy, fresh, a good size and it had the most wonderful dressing. The textures are also varied making this a colourful and interesting dish to enjoy. I noticed another diner had ordered a large one as a main. I’m having that next time!!!!!! 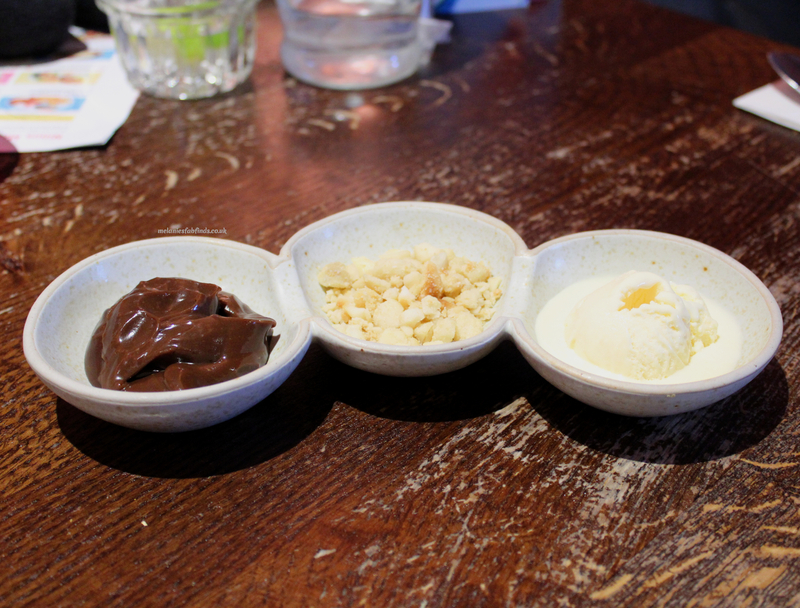 Create your own Brazilian brigadeiro by combining malted nuts, chocolate ganache & vanilla ice cream. Unusual but delicious this is ideal for any chocoholic (that can eat nuts) The dessert is unusual yet the combination of the parts work well combined. The presentation was interesting although the dessert would have worked just as well with the ingredients in one bowl and a larger serving of ice cream. Layers of soaked sponge drizzled with dulce de leche. 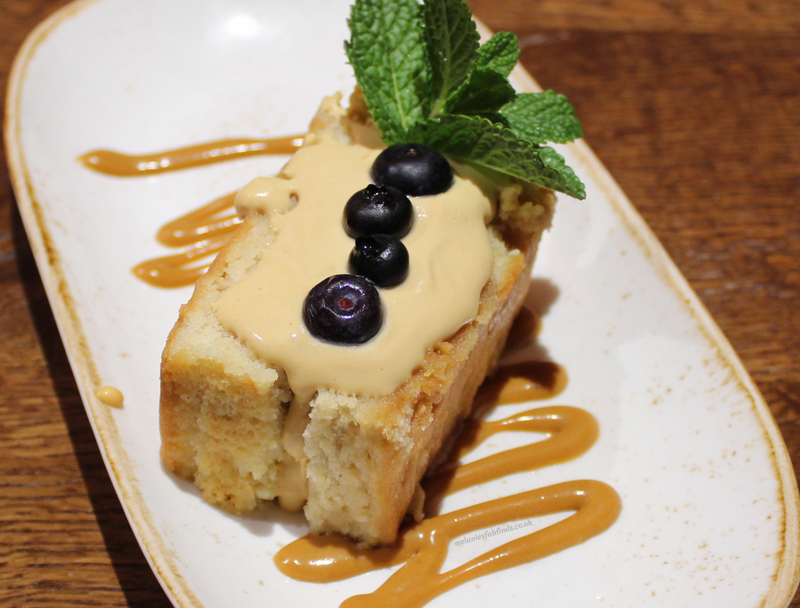 Topped with caramelised cream and blueberries. Unfortunately, even though the dessert sounded tempting it was disappointing. The sponge came across as far too moist. Whatever it was soaked in lacked flavour making the dessert taste bland. The caramelised cream was extremely light in flavour and combined with the sponge didn’t improve the dish at all. The addition of the dulce du leche added much-needed flavour although was insufficient to salvage the cake. Not something I would try again I’m afraid. Overall, the food was very good, the ingredients fresh and there was a good mix of flavours amongst the various dishes. Dishes didn’t take long to arrive which was great as we arrived hungry. The portion sizes were good and no one left hungry. We all agreed that we would revisit and trying other items on the dish as soon as possible. 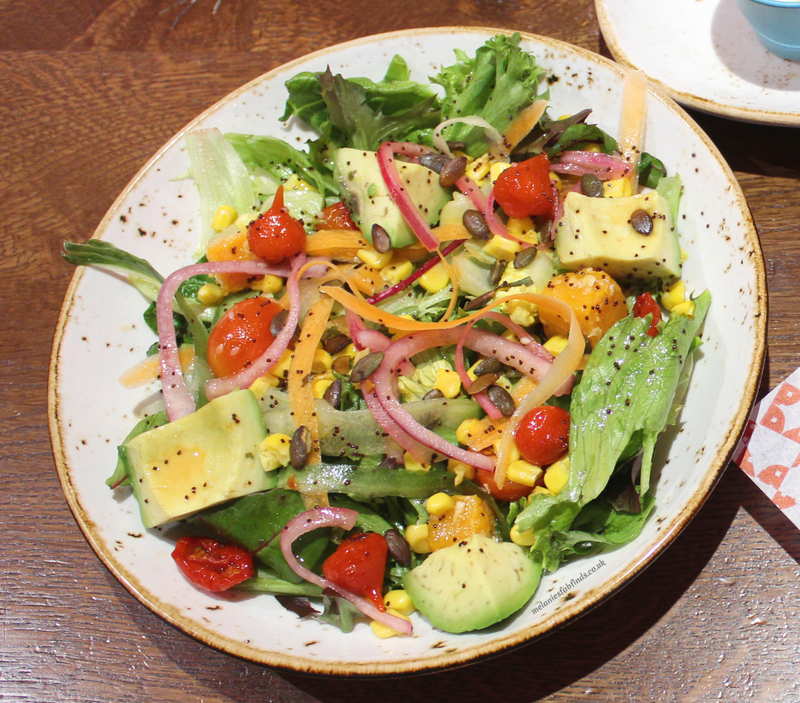 Have you discovered Las Iguanas yet? Enjoyed this post? You can subscribe to Melanie’s Fab Finds to have posts delivered straight to your inbox. Emails include recipes, reviews, competitions etc. before anyone else. Don’t worry I won’t spam you. 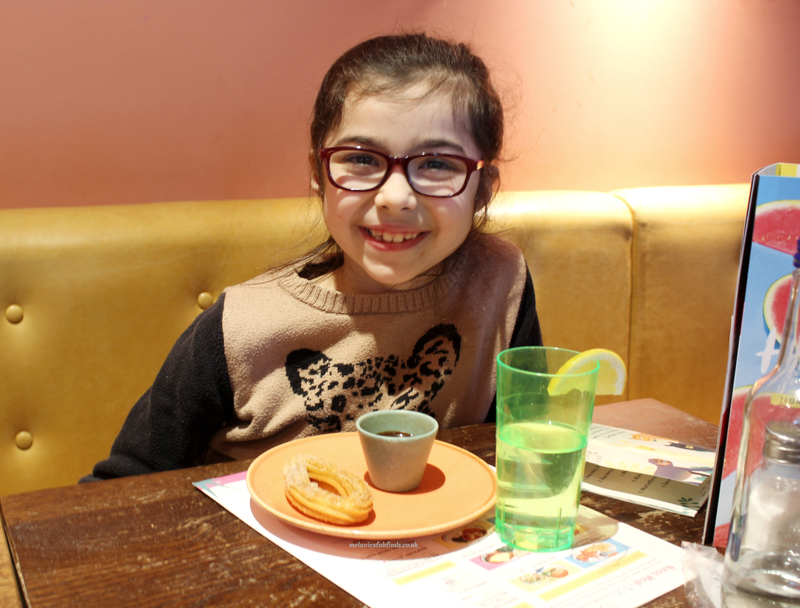 Disclaimer: We were invited to Las Iguanas, Brunswick Square for an honest review. All thoughts and pictures are our own. The food all looks great! I have never visited Las Iguanas before but I definitely think I need to head to my nearest restaurant. The food is great. They have a great variety of food there. 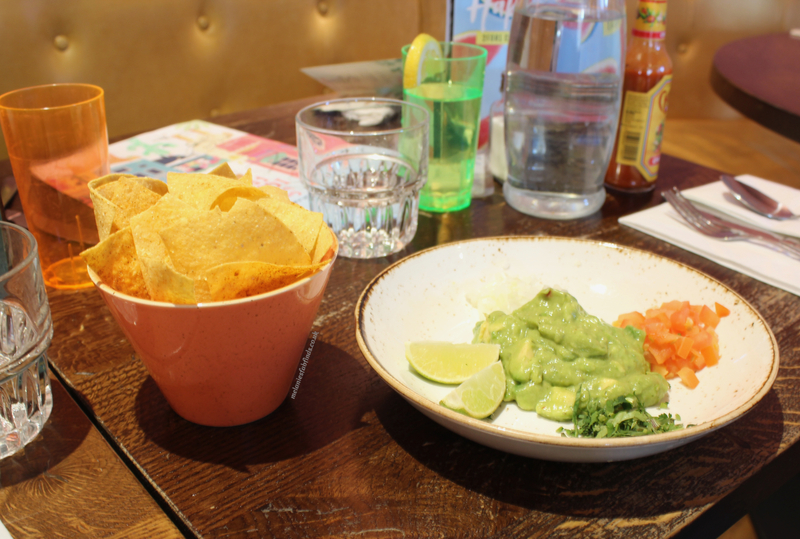 I have never made it to Las Iguanas, but I have heard so many great things about it being the place to go for a meal. I am definitely going to have to try and make it some time as this all sounds delicious. The food was really lovely there. I am sure you will enjoy it Sarah. It is really good as it means that no one is left out with limited options when dining out. 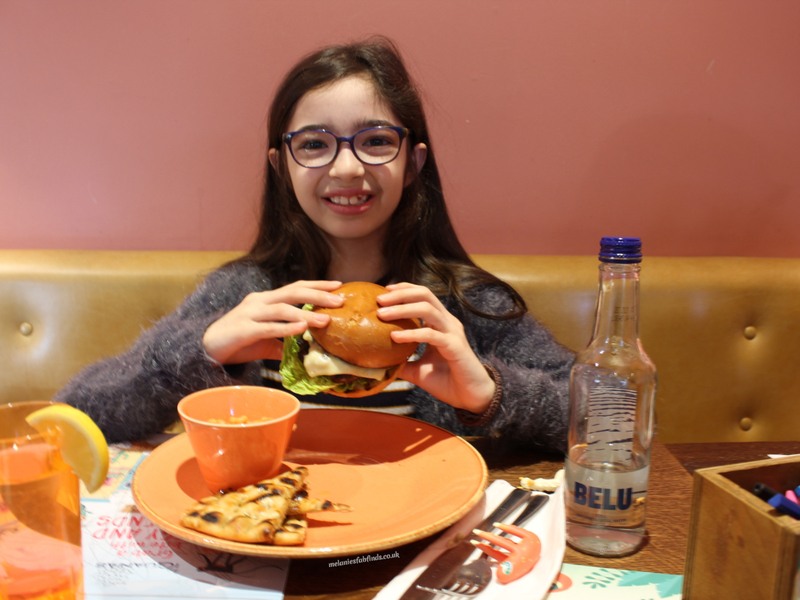 I love Las Iguanas, but I have never been with kids. It looks like they have some great options. They have a wide selection for all ages. It’s really fantastic that they offer food options for everyone! The food looks amazing, just the kind of thing my family and I love! Tasty, but not too fancy and I always think it’s great when children’s meals come with activities/colouring! The food there is really good as is the variety. 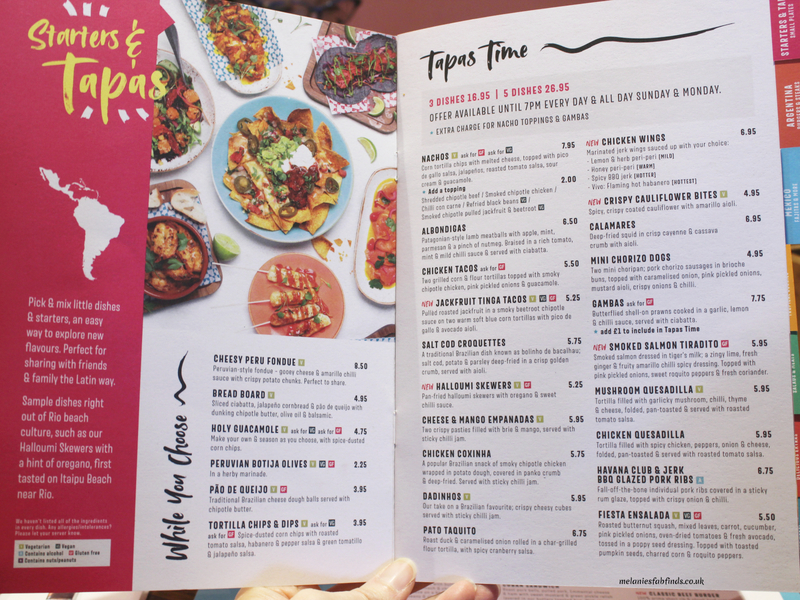 I love las iguanas and go as often as possible, there menus always make me happy but somehow i always order the same thing. I have been to Las Inguanas, but it’s quite a few years ago now. 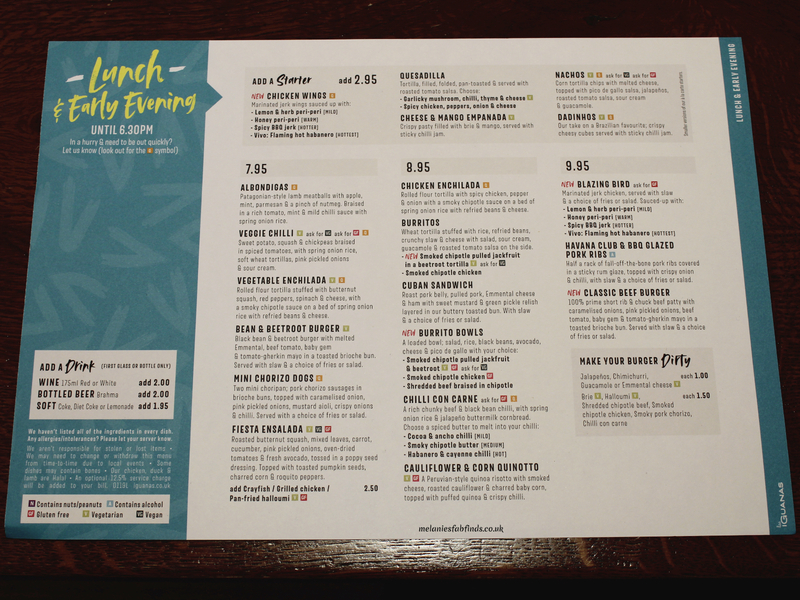 The menu looks to have grown since I went and I love that they are catering for more people now too with the allergy and vegan / veggie dishes. The menu is really good. The variation caters well to all. I know, neither did I. All these options are also on the main menu but they have dedicated ones to both so it makes selection easier. Las Iguanas, is somewhere we keep saying we must go and grab a meal from and then never make it to! One day! It sounds like the food is absolutely delicious! The food there is yummy with a varied selection to choose from. Your kids look very happy with their food choices. I love how diverse the menu is. You could eat there over and over and try something new each time! They were very happy with their choices thankfully. Going to kids and family friendly places is always perfect. 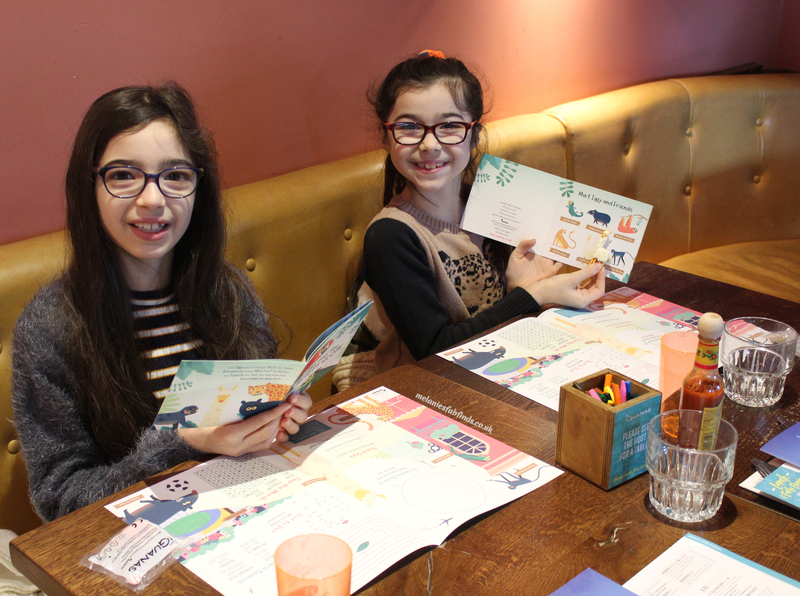 Having a kids menu certainly helps make it easier to feed the children and have a good experience. It sure does. The variety of options was good which helped. I love the variety. THere is something for everyone. It is SO hard to find a vegan / vegetarian menu that is more than just 1-2 options. I agree, many places don’t allow enough options. I like restaurants that take care of people with allergies. We have a food allergy in our family so this is important. It makes it easier when dining out. The selection for those with allergies is great! My stomach is rumbling. All of this food looks so amazing. I’m glad there’s a good kid section too. I need to try this place out one day. The kids loved it there which helped. It’s always good when restaurants have a good kids selection. This place looks like it has such delicious food. My daughters and I all love churros, so we would get those for sure!! Looks like a place I would love to go to. I love a big variety to choose from. There sure was. I’m sure you would love it there. This looks like such an amazing place to dine at. I love the variety of food options they have. Your food looks amazing. They d have a lovely large selection! This looks like the type of place my kids would enjoy. I love a restaurant that serves family friendly dishes. Same here. It makes family meals out much easier. I’ll have to see if there is one near here. It is hard to find a restaurant around here with good vegan and vegetarian options. That’s a shame. These guys have a few branches so hopefully there will be one near you. Oh my goodness! Those foods make me feel so hungry! They look so enjoying the food and they have a cute smile. Great read! It looks like y’all had an amazing meal! I am hungry now! LOL!! We sure did food there is really good. Great to know that places like this are offering vegan food. It’s really different now. Yum! It sure is. Glad they consider all dietary requirements. Just reading the first line of your post got me excited already lol. Speaking of which, we went to a Mexican resto last night. This food makes me hungry! I love it too. They have so many great flavours in Mexican food. I have never been there, i would love to visit this restaurant! I love Mexican food! I loved the food here, so many great flavours. 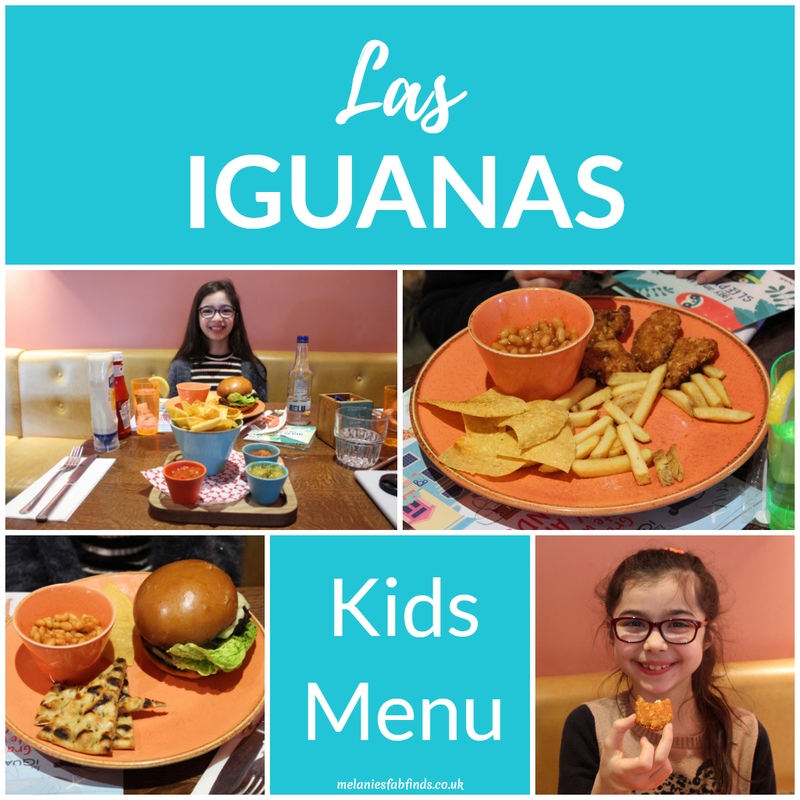 Never heard of Las Iguanas before, but it sounds like a family friendly restaurant! Just by looking at your pictures I can tell the food was delicious. I bet you all had a lovely time there! We sure did. 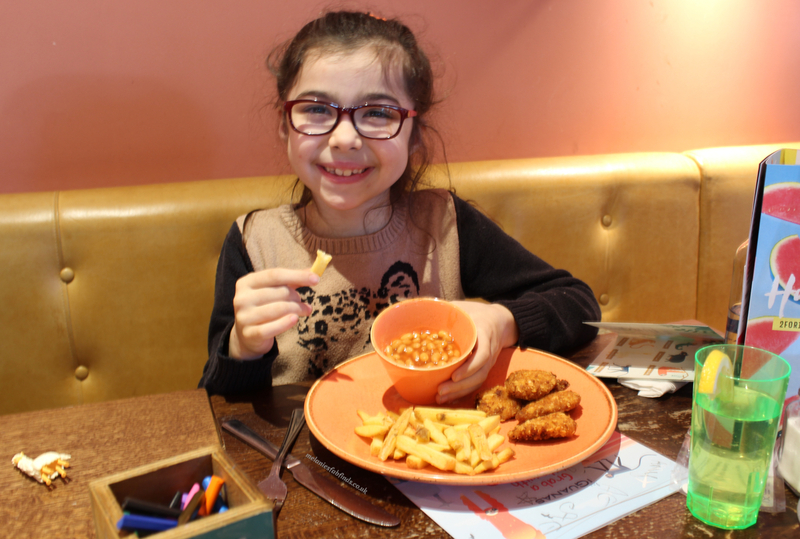 It’s great that the menu is nicely varied and it’s good for families.